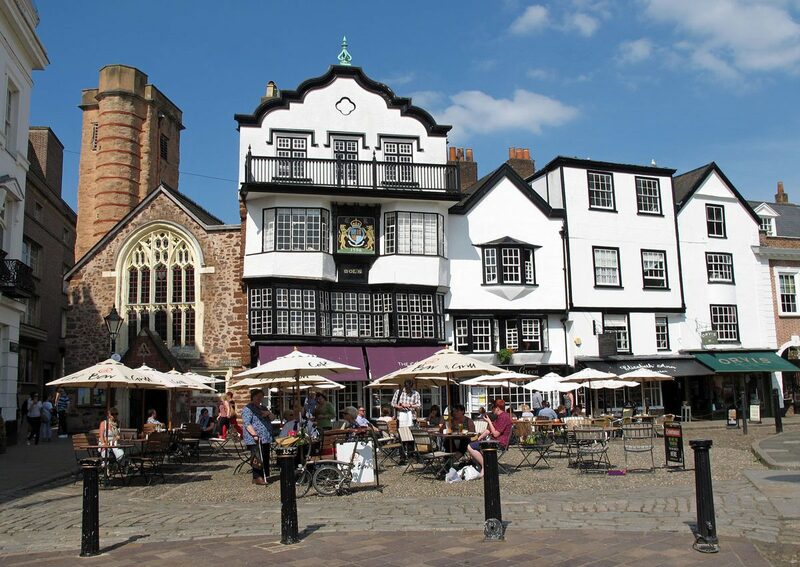 Exeter is the thriving and prosperous administrative capital and county town of Devon. It’s also the second largest city after Plymouth with a population of around 120,000. The city centre, with its majestic cathedral is positioned on a hill above the River Exe, which flows into the estuary and then out into the English Channel. For the visitor, this gives the city two distinctly different areas – the City Centre and The Quayside, both of which should be visited if at all possible to get an idea of the importance of its location where the city’s history is concerned. Exeter isn’t a major industrial centre, but it does have a sizeable student population which helps to give it a youthful feel. In recent times it has become a popular place for people and businesses to relocate to. Not only is it an interesting place in its own right, but also close to the coast, Dartmoor and some lovely unspoilt countryside.